Stage 773 producers of The Chicago Sketch Comedy Festival and Chicago Women’s Funny Festival are excited to announce the return of Comedy Prep School (CPS), a one-day festival for young comedians on Saturday, May 12 from 9:00 a.m. to 6:00 p.m. Comedy Prep School features workshops taught by professional performers and teachers from Chicago’s world class comedy institutions, as well as opportunities to learn, play, and perform with 100+ fellow young comedians. In addition to this, attendees will be treated to an exclusive performance by hilarious, high caliber comedy group, Ms. Mistoffelees. Individual students and groups ages 12-17 are invited to register. Comedy Prep School features four, age-appropriate workshops that are taught by highly skilled professionals in the comedy industry. These workshops include Comedic Song Writing, Advanced Improv: Go For It!, Physical Comedy, and Writing for Diverse Voices. 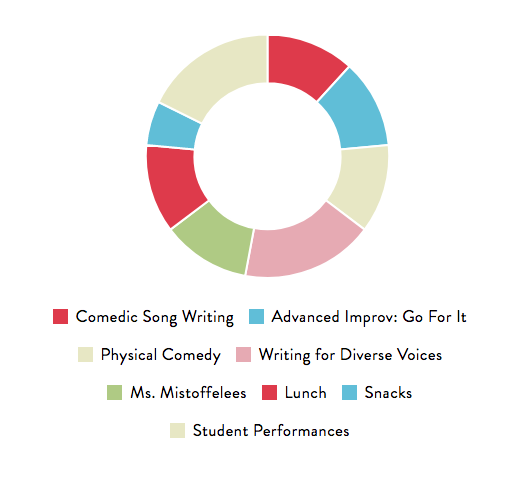 Comedic Songwriting, taught by Mollie Rehner, allows students to learn how to find “the funny” when writing a song through song structure, point-of-view and rhyme. In Advanced Improv: Go For It!, Micah Philbrook gets students out of their head and into the scene by teaching confident choices, reckless agreement, and unapologetic support. From miming to slapstick, Sarah Barnhardt provides young comedians with the tools to release their inner comedian in Physical Comedy. Nicole Hastings teaches how to find your voice and respect other’s experiences in comedy with Writing for Diverse Voices. After a day of workshops, students are invited to see the skills in action with a performance from professional group, Ms. Mistoffelees. From there, they will be able to take the stage themselves and play and perform for each other. Lunch and snacks will be provided throughout the day. 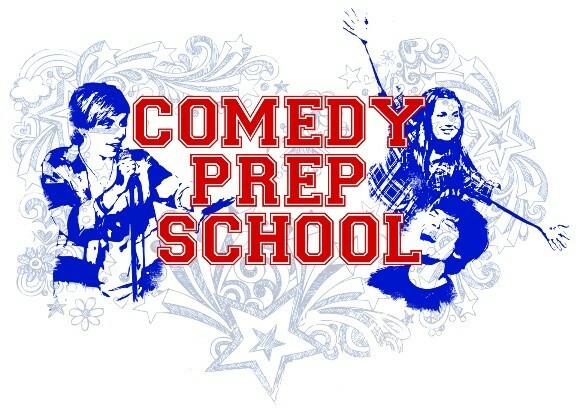 Registration for Comedy Prep School is $100 for students ages 12-17. Chaperones are requested for large groups. The cost includes all workshops and performances, lunch, and snacks. Additional information is available online at www.Stage773.com, by phone 773.327.5252, and in person at the Stage 773 box office, located at 1225 W. Belmont. To sign up, please contact Tim Soszko at cps@stage773.com. Mollie Rehner an actor, comedic song writer, rapper, and producer in Chicago. She is a member of the infamous Chicago musical comedy group, The Cupid Players, and co-stars in Rehner & Nixon and Trifecta. She was featured in The New York Television Festival with her online comedy duo Hard Candy and performed in Gilda’s LaughFest. A producer for The Chicago Sketch Comedy Festival and Chicago Women’s Funny Festival, Rehner is a former Late Night intern for Conan O’Brien and Jimmy Fallon and performs all over Chicago and the United States. Micah Philbrook an improvisor, actor, writer, director, and teacher based in Chicago. He is half of the tim&micah project, an avant garde sketch comedy troupe; a founding member of pH Productions, an award winning theater ensemble known for original comedic works; the executive producer of That Sunday Show, a modern comedic variety show; and he’s a regular performer with Those Who Can’t, an improv showcase featuring teachers of improvisational theater. Micah has toured the Atlantic ocean and the Caribbean on cruise ships, performing with The Second City, and toured North America and Europe, performing and teaching improv and sketch comedy, with the tim&micah project and pH productions. Since 2008, Micah has been a faculty member of the Second City Training Center in Chicago where he has taught well over 160 classes in the comedic arts. Nicole Hastings is a teacher and performer with the Second City, teaching a range of classes in the Beginning Improv, Music and Conservatory programs. She has performed Off-Broadway in Blank! The Musical and at the Edinburgh Fringe festival in Thrones! The Musical. She can be seen in The Deltones at iO, as well as in Baby Wants Candy and The Improvised Sondheim Project. At Second City, she has been an ensemble member in The Second City Touring Company, Fast, Loud & Funny, Life Hacks and American Mixtape. Nicole is a native of Northern California and a graduate of Columbia University in New York. Sarah Barnhardt is a producer and performer in Chicago. Physical comedy is her jam! Therefore, she helped create The Comedy Dance Collective, a sketch comedy group that uses physical comedy and dance to delight their audiences. Recent credits include The Comedy Dance Collective (performer and producer) and THIS IS THE WORST (solo show), both of which have been seen at various venues and festivals around Chicago and beyond. She is also the creator and producer of Deep Dish Pizzazz: Chicago-Style Comedy, a show that features different Chicago comedic acts and serves up laughs to audiences in her hometown of Winston-Salem, NC. Sarah is a graduate of the Second City Training Center’s Writing Program, Conservatory, and Music Program and has studied at The Annoyance and The Playground.